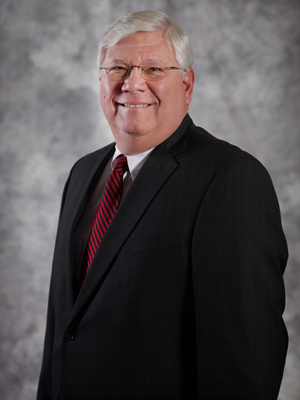 Russ is a Principal in Scheffel Boyle’s Belleville office and first began his career in public accounting in 1977. Due to his experience in the construction industry, he is also one of the senior members of the firm’s Construction Accounting Team. Russ performs both corporate and personal tax work, as well as various accounting and assurance services for a wide range of industries. He enjoys the challenge of working in multiple industries and learning more about a variety of businesses and organizations. Russ grew up in Waterloo, Illinois and still lives there with his wife, Diane, and daughter, Helen. He first got into public accounting because he saw great potential and professional opportunity in the industry. Once he began his career, he found it was a natural fit for him. He loves coming to work every day because helping his clients is important to him. Russ likes working closely with people to find innovative solutions for their tax and accounting issues and being a valuable resource for them. In his free time, Russ enjoys traveling and says he’s been to all of the U.S. states except for Alaska, which is on his bucket list. His family has also owned and operated their family farm for decades and he spends some of his free time working with his brother to continue the tradition. Due to his own experience in the agricultural industry, he also assists a number of agri-business clients with their tax and accounting needs. And, of course, golf is always on his post-tax season “To Do” list.